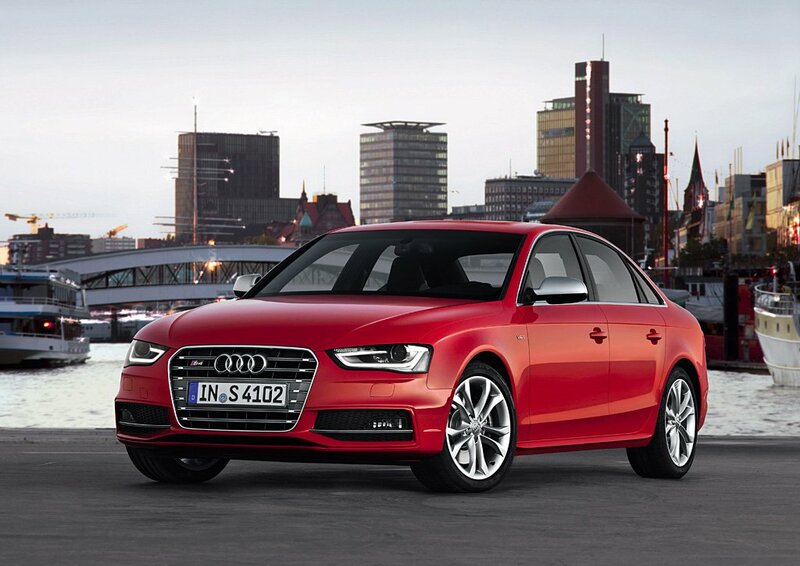 Faster S4 or S5 Sportback? 1/4 mile in 13 s.
How the new S4's 0-200 can be 18.7s?????? @Jeff B, 330Hp, 4s range 0-100kph, Hockenheim laptime as fast as Bentley Cotinental GT SuperSports, An S Badge Audi, Please, tell Me how this ISNT a Performance car? And the RS4 is JUST A HIGHER performance car. @BR2 This isn't a performance car really, just a mid-level compact sports sedan. The RS4 is a performance car. 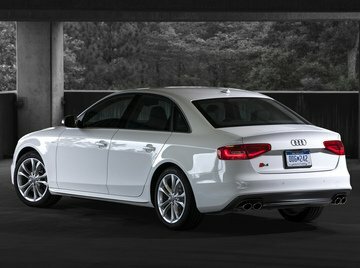 S4 is just very very good looking car. If someone likes the kitschy car for him to S4 will be boring. I wonder what the Drivers back in the day that arent with us any more(Death) would think of the Performance cars these days? Would Henry Ford like the New Mustangs? Would Etorre Bugatti Like the Veyron? Would Enzo like the 458? Would August Horch like the S4? Are Performance cars losing there Spirit in the need to be faster? I'd have to agree that these are very, very boring looking cars. I understand the Principle of Performance cars just fine, but please, Enlighten me..
" but for what it can do, it looks incredibly boring"
I have added a lot of performance fitures for new S4. But why are they not accepted? Source from Autobild Sportcar 05/2012. 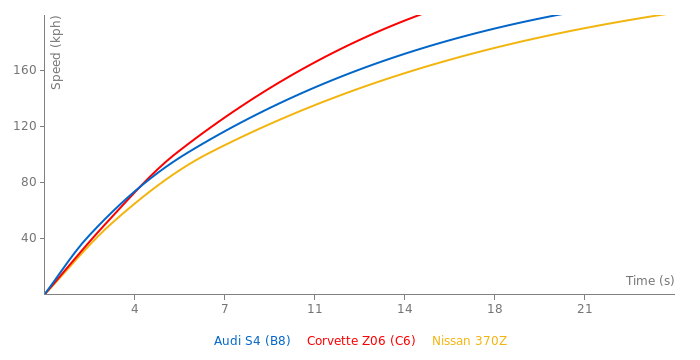 Comarison between S4, 335i,C350 and passat cc 3.6. So it has the same hp and it weighs 100 kgs more than the B8? Btw, maybe we should put B9 in the name. Thats right, I meant the A6. I'd rather have a 5 series from that period but thats just me. The C5 is the A6 actually. And I think it looks pretty badass if you have the V8 flared arches. An RS6 front bumper would help too. That's the plan as it looks right now anyway. Meh I couldn't drive a C5 S4, it's just the most dulling looking, uninspired looking performance car, it's crazy how Audi has gone from that car to this, or ugly to beautiful imo. I wish it was turbocharged. I miss the old 2.7t so much that I might pick one up in a C5 body as a daily driver. Yeah you're right actually, just looked on Audi site, sorry that 3.0T threw me off. The audi.de claims it is supercharged. It's turbocharged, and it looks different, so I added it, the S4 has had the same power for awhile now lol, like almost a decade. Why it was added? The power and the torque remained the same. The engine supercharged not turbo.